When my daughter was a baby, we would walk through the basketball court near our apartment building on the way home from the playground. Quite often, we would find a group of young boys shooting hoops. Usually, though not always, the boys were black. Parents often express the fear of “pointing out” race to their children. “I don’t want to draw my child’s attention to something that s/he doesn’t notice yet,” is a sentiment I frequently hear, yet research widely acknowledges that young children do categorize by race. Parents and educators continually talk to young children about their world, often including colors as part of the description. In New York City, where I live, a new subway campaign, "Talk to Your Baby," includes simple prompts for parents such as “The sky is blue” and “The bus is yellow.” The campaign emphasizes the impact that early talk can have on a baby’s language development. Talking about race with a young child is an extension of this campaign’s logic. 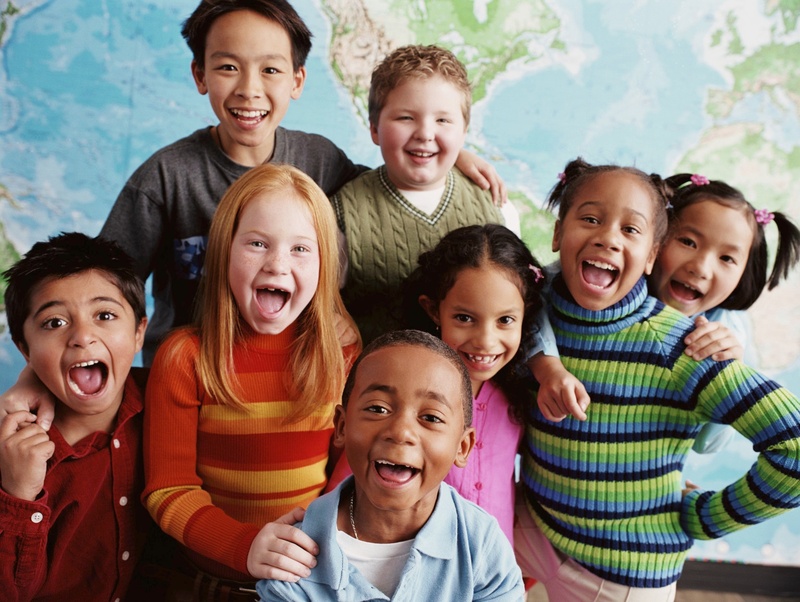 Adults can use explicit language such as “brown” and “peach” or ”black” and “white” to help children become what I refer to as “race-conscious.” Using race-conscious language enables children to practice talking about race in a way that builds their skill set for taking a stand against racism when they encounter it in their lives. In contrast, practicing color blindness sends children the message that they are not supposed to talk about race, and if we do not empower children to talk about race and racism, we cannot expect them to do anything to change the racial inequities that still exist in the United States. Name Race/Whiteness: Use children’s books, media, and advertisements, as well as a child’s daily world (such as the scene at the basketball court) to “see” race with them. If we say to a toddler, “Look, the child in this picture has peachy skin that we call white” we are already playing an important role in making sure whiteness is not invisible to them. Create Change: Help your child understand that their actions can create change: “We need to learn more about the history of basketball.” Help your child become an “expert” on a piece of history: do an internet search together, or get a library book, or interview someone you know. Then tell them they can change people’s minds about basketball by spreading the word about what they’ve learned. Start small. But start! Find additional strategies for talking about race with young children here. On June 25 and 28, Sachi hosts a webinar on raising race-conscious children. Learn more. Sachi Feris is a longtime Facing History educator and author of the blog Raising Race Conscious Children.